When I think of Elemis, I think of a luxurious spa skincare brand, except one that is available for everyday use. 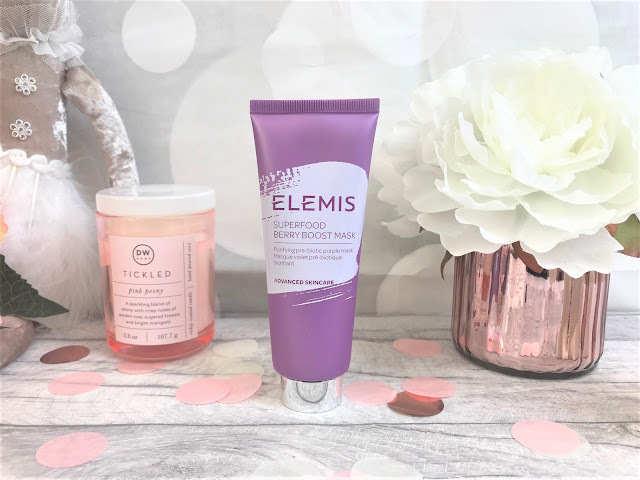 However, it isn't a brand I have used a lot of recently, as some of their products I do have to save up for, but when I came across their latest release the Elemis Superfood Berry Boost Mask, I was excited to give it a go as I love a good face mask! Elemis have quite the range of Superfood products, and this latest product is based upon mattifying and minimising pores, which I am all about, as my pores are the main problem with my skin which makes me not want to go makeup-less. The Superfood Berry Boost Mask is a unisex product and is suitable for all skin types, whether you are oily, dry, combination or normal. I personally have combination skin, with dryness on most areas but also an oily T-Zone. This is a smoothie-inspired purifying mask which has been formulated using Brazilian Purple Clay and an Omega-rich SuperBerry Complex which balances the skin and mattifies the T-Zone. The mask itself has a light mauve colour to it (I did expect it to perhaps be the same colour as the purple tube), and you can see some of the berry remnants of which the mask has been made from. It feels quite creamy on the skin and it smells incredible and definitely like a smoothie, which could be due to the fact it contains Nordic Bilberry, Blackcurrant and Grape Seed extract as well as Oatmeal particles. Elemis do recommend using this twice a week and each time leaving the mask on the skin for around ten minutes, and so to try it out correctly, this is what I have been doing. Once I had applied the mask to my face, it immediately felt quite quenching and creamy, and once it started to dry down a little, I had no irritation, but it did start to feel tighter on the skin, but not uncomfortably so. After I rinsed the mask off, my skin instantly looked brighter, and it felt so much more hydrated. Throughout the day, I did notice a lack of oiliness in my T-Zone - there was still a small amount but nothing compared to what I normally get. I would say with regards to my pores that I considerably noticed a difference after maybe my third use, and my makeup applies so much better now, instead of sinking into those nasty pores. 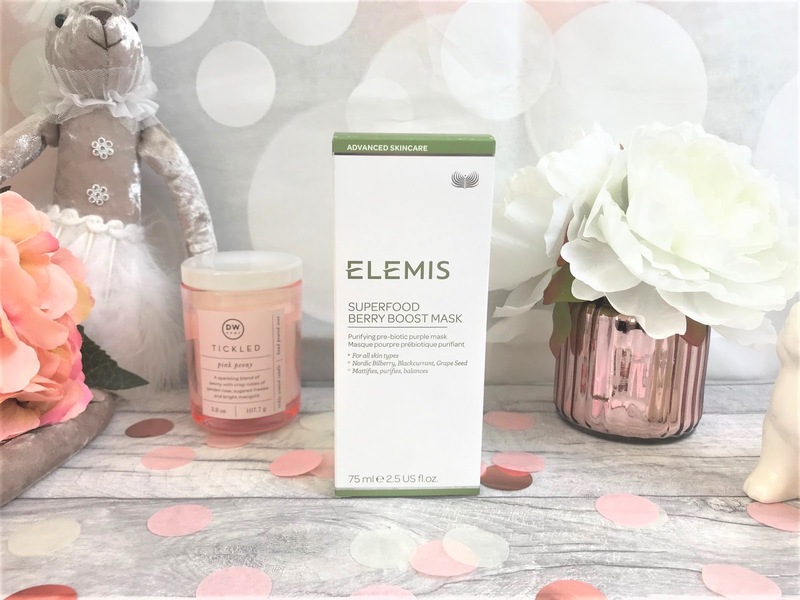 The Elemis Superfood Berry Boost Mask is vegan friendly and cruelty free - yay Elemis! - and costs £30.00 for 75ml and you can find it online at Elemis.